This is Yale featured a full roster of zones that showcased tailored Yale solutions for a variety of industries. 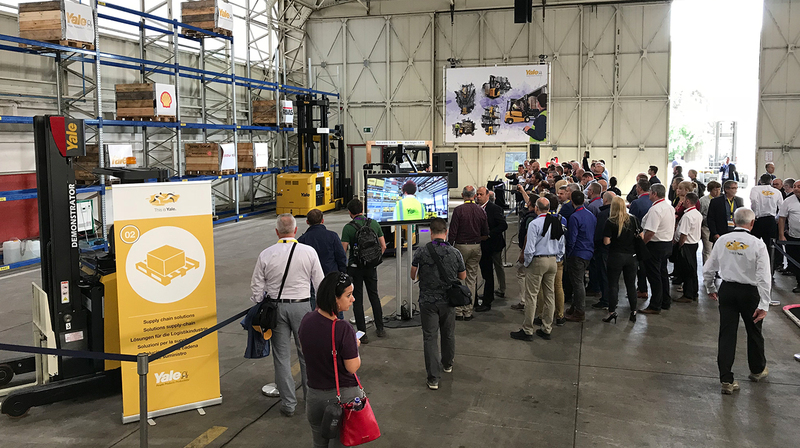 Among the simulations and live demonstrations that took place, the application of Yale robotic solutions was a key talking point with the new robotic trucks featuring in the Automotive and Supply Chain Solutions zones. 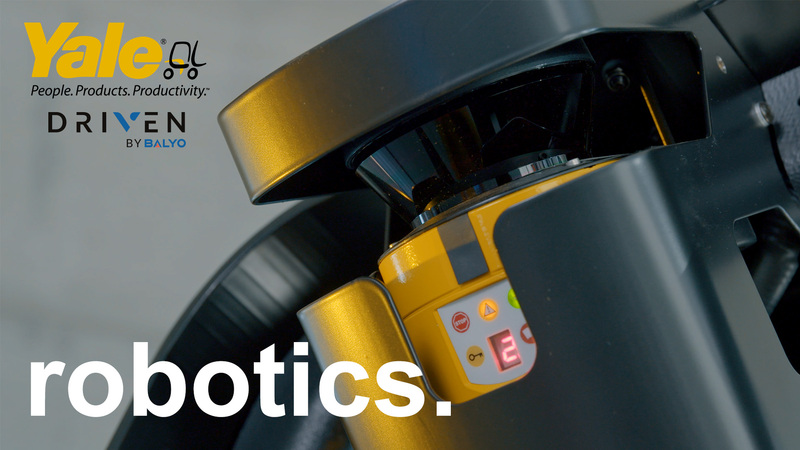 “As the Industry 4.0 trend continues, our robotics range can open the door to more flexible, affordable solutions that don’t require the installation of a physical infrastructure to support navigation which can be time-consuming, costly to install, and disruptive to the operation,” said Ron Farr, Warehouse Solutions Manager for Yale. 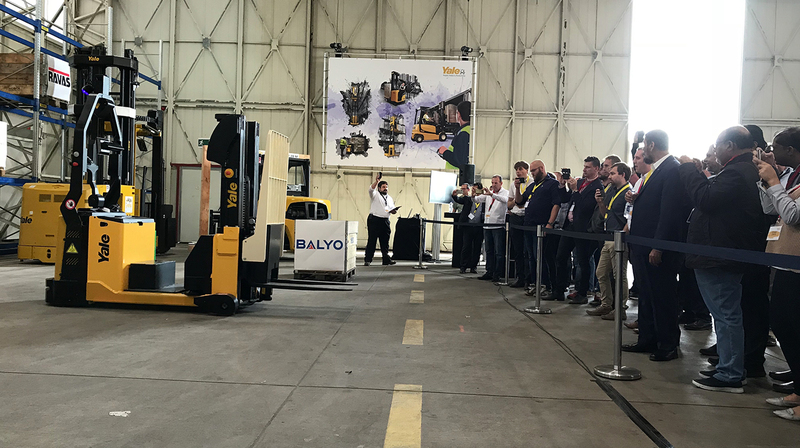 Yale industry experts presented the industry-leading Balyo geoguidance navigation technology at the heart of the robotic solutions, explaining how it sets Yale robotic trucks aside from traditional automated guided vehicles. 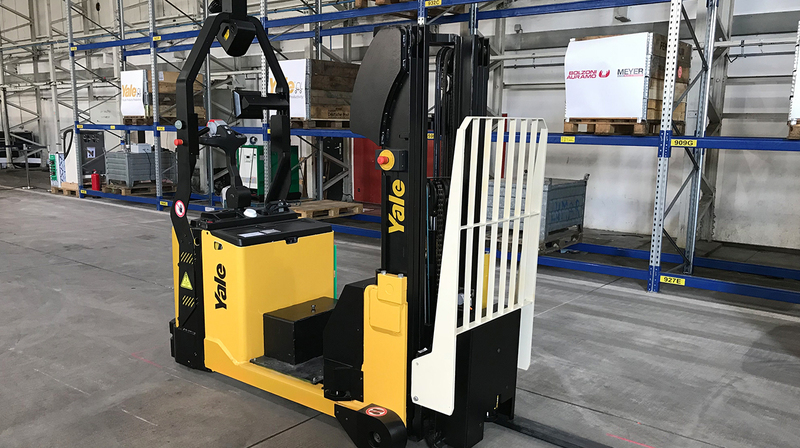 Exploring a pallet’s journey from the container to the customer, the Yale MC15 robotic counterbalance stacker played a key role in the Supply Chain Solutions zone. The full range of Yale robotic solutions is now available to order, simply visit http://www.yale.com/emea/en-gb/our-products/automation/robotics/ for more information. This entry was posted in Automation, Automotive Industry, Design Process, Events, Innovation, Partnerships, Robotics, Warehousing and Distribution and tagged Affordability, Automotive, Balyo, Counterbalance, Dependability, Electric, Energy Efficiency, Fleet, Innovation, Manoeuvrability, Materials Handling, People, Productivity, Products, Robotics, Storage Rooms, Supply Chain, Warehousing, Yale, Yale EMEA, Yale Europe Materials Handling. Bookmark the permalink.